Made in the USA by us! 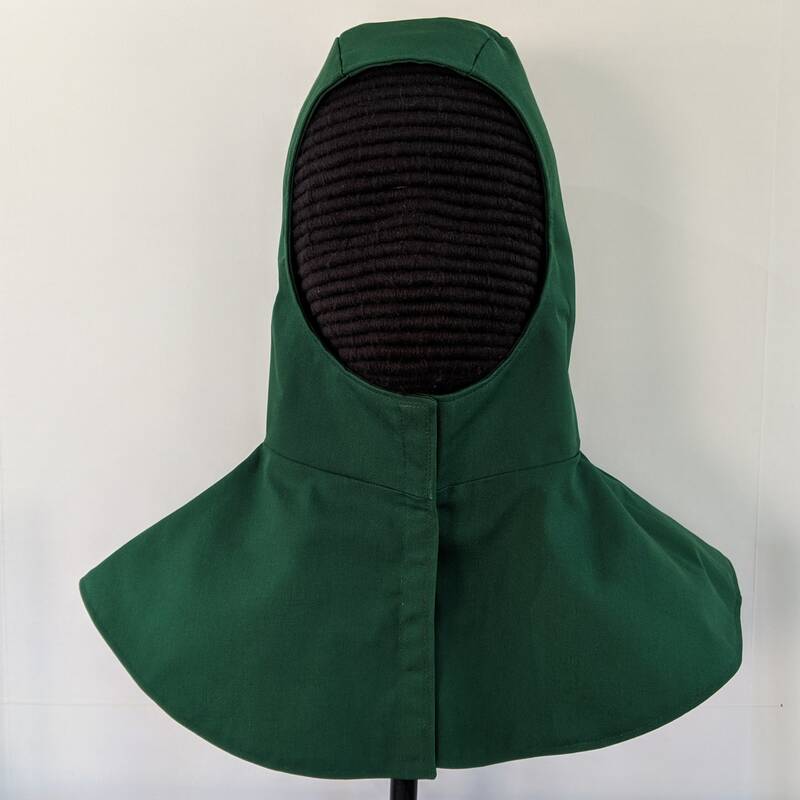 Undermask Fencing Hoods in black, white, navy, khaki, hunter green and burgundy! 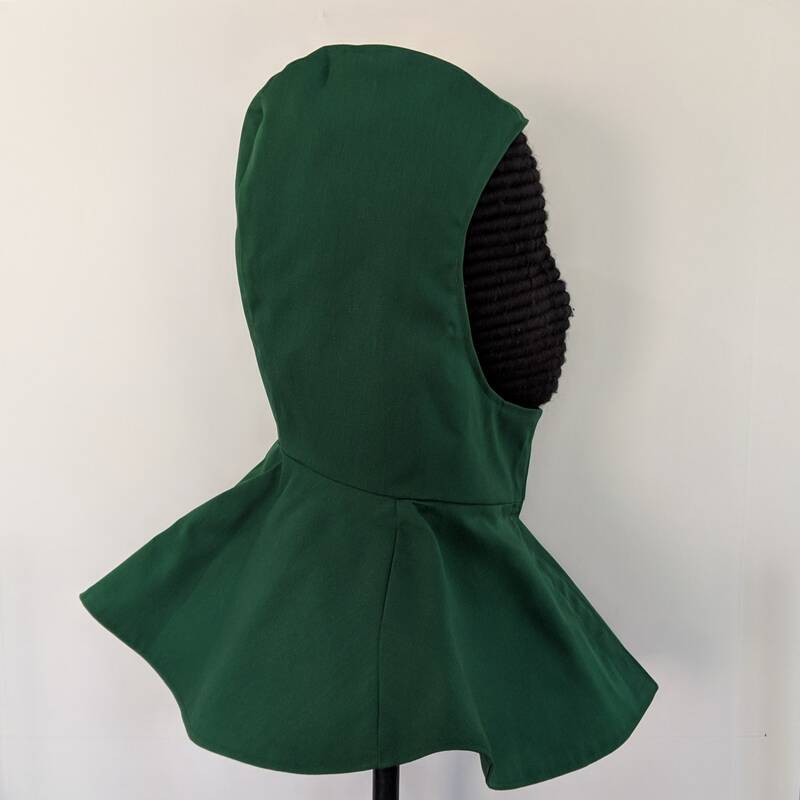 This is standard Gipsy Peddler Rapier Armor in our 6 stock colors. It can also be used as a heavy fighter's arming cap. 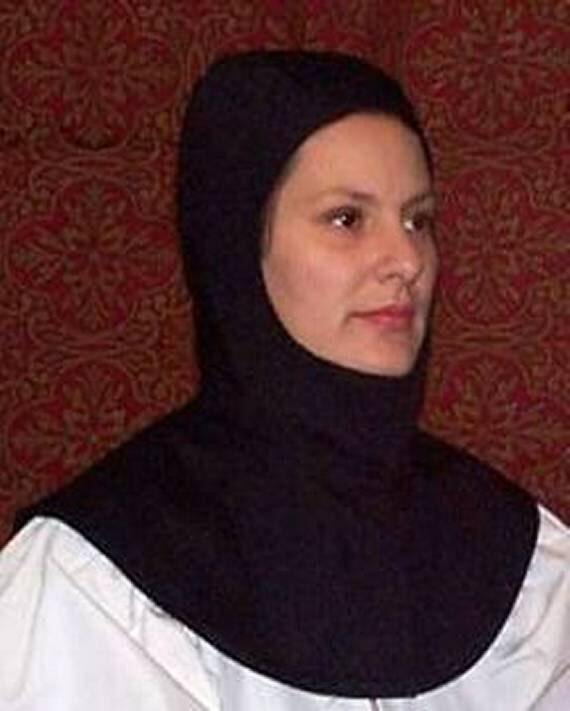 This fitted coif is designed to be worn under the fencing mask leaving the chin exposed or covering it up. 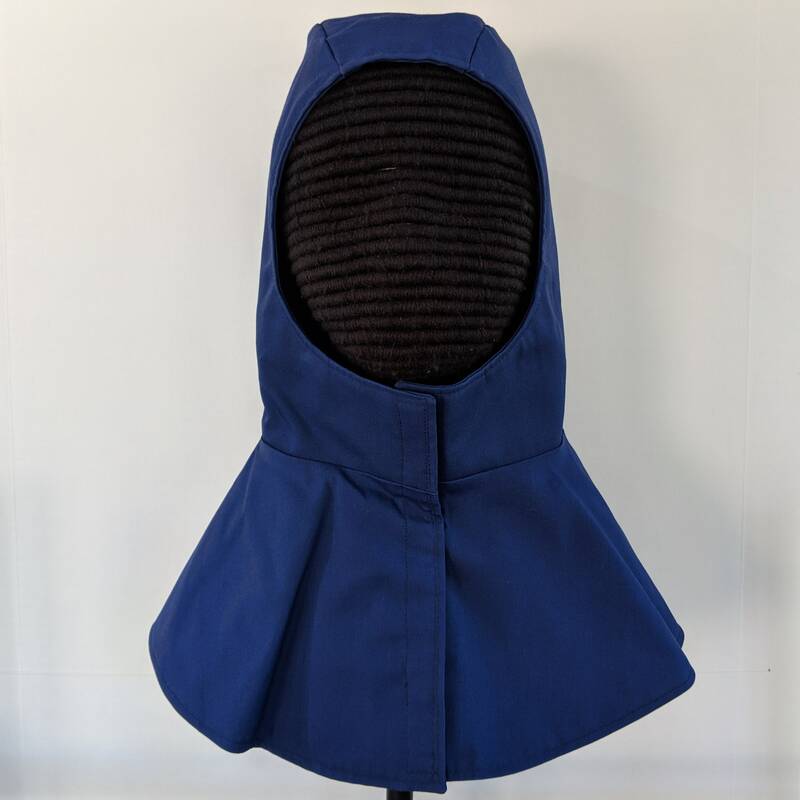 It is made of four layers sports cloth (trigger) in the head. 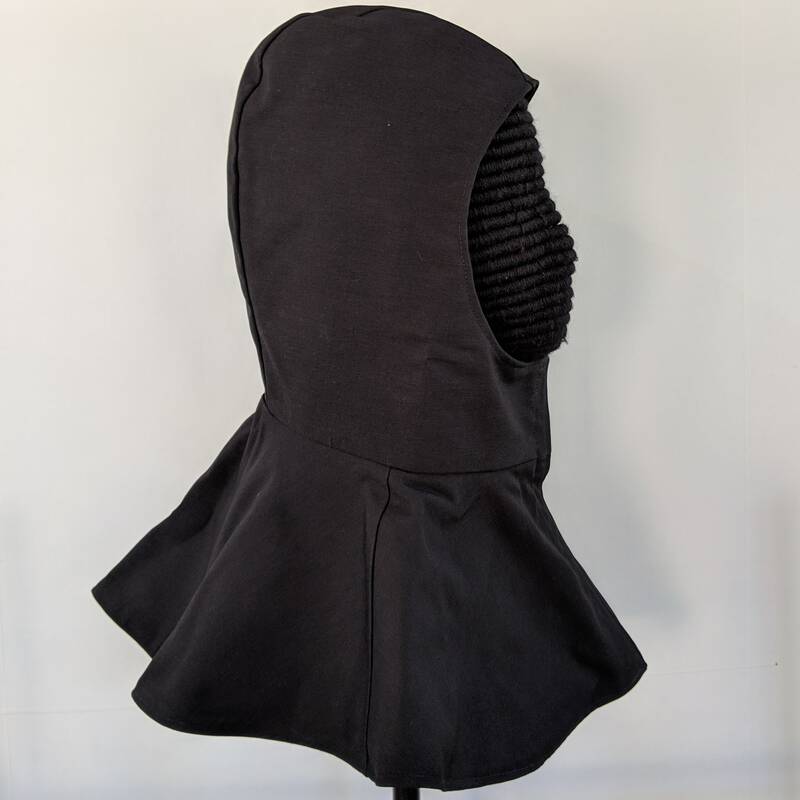 The neck has a two layer collar/capelet for tucking inside a doublet. 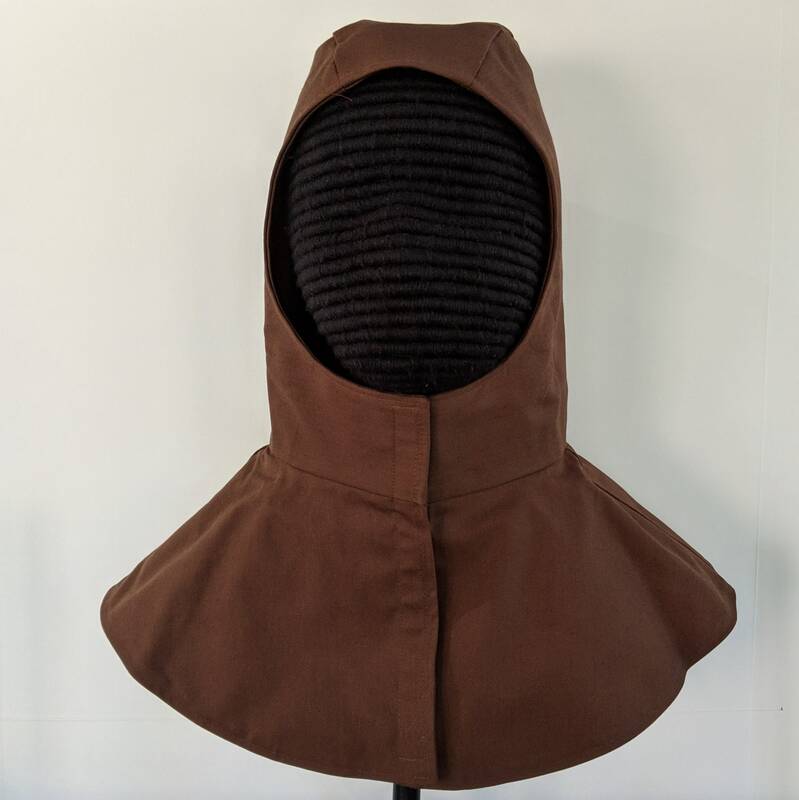 Brown have been discontinued - Only 1 left! If you order a color or quantity that is not in stock it will be added to the production schedule when you place your order. - Please allow 4 weeks so that we can make it especially for you. 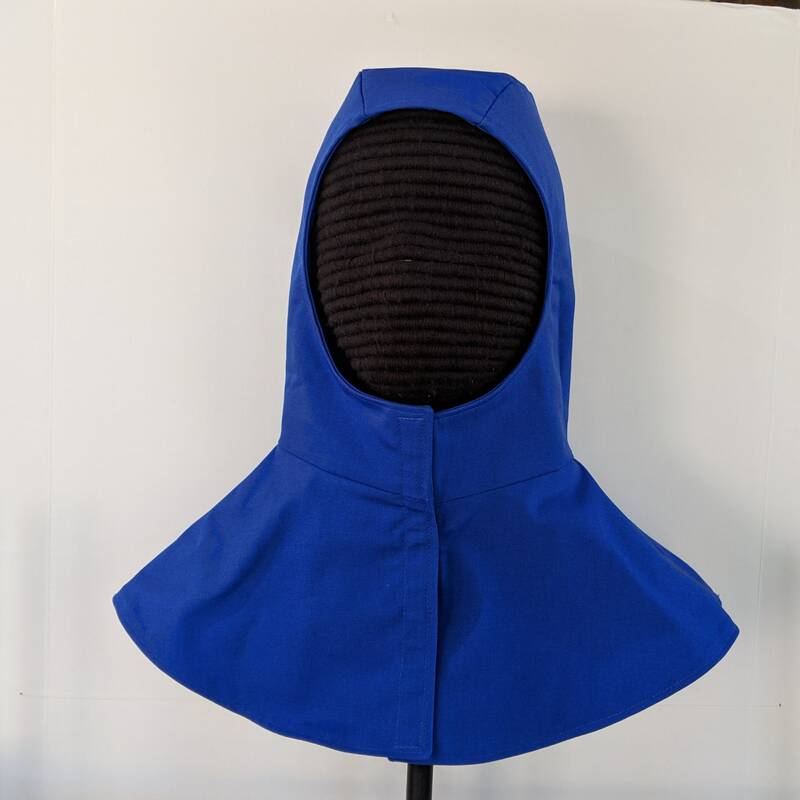 If you wear an XL hat, a larger size can be ordered as well, Contact us for production schedule which is usually a 4 weeks waiting time period. 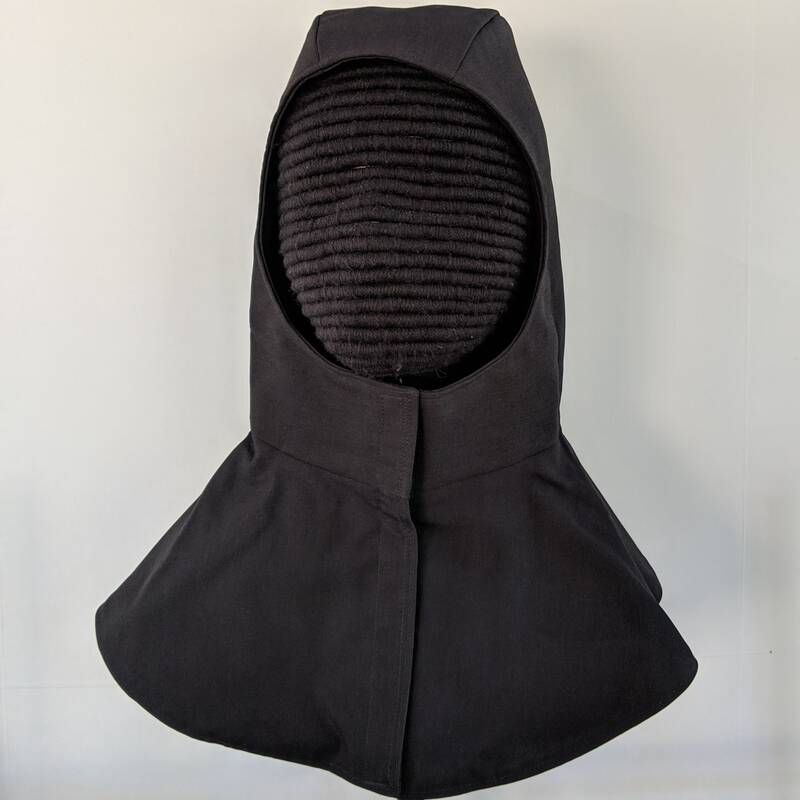 The model is wearing a representation of the hood, not the actual one you will receive. as always good construction and fit. 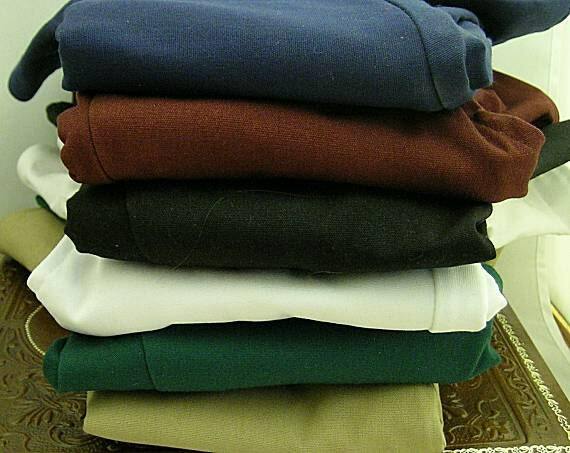 variety of colors is a plus and durability is great. Fast delivery...fits great! Color was exactly what I was looking for. 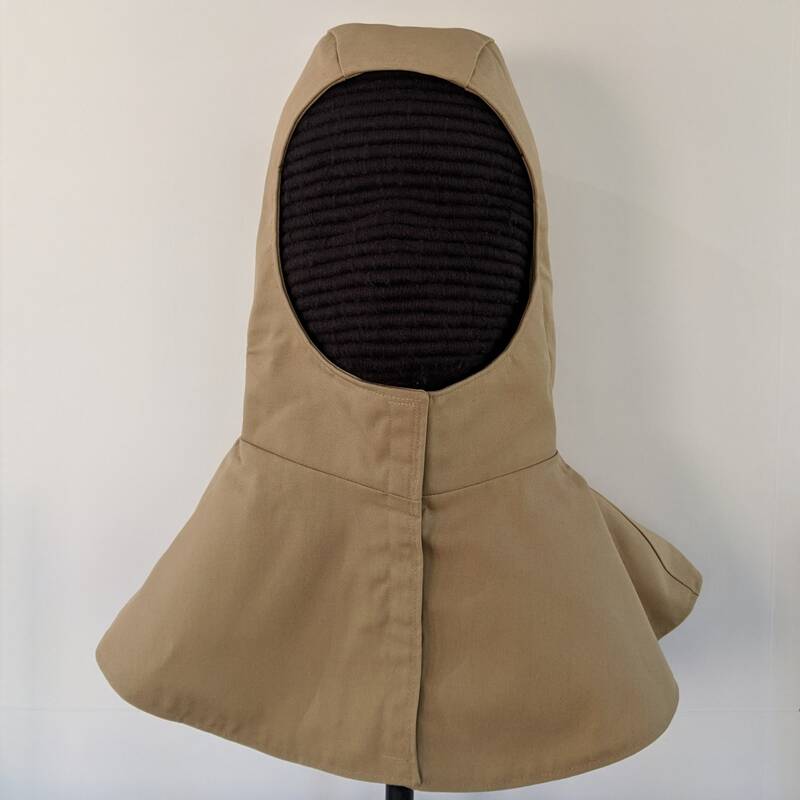 Great item, fits well and shipped out very fast.